DandE's Frozen Yogurt & Custard - "Our Belize Vacation"
Former owners of the San Pedro Sun, are now busy dishing up frozen yogurt for island inhabitants. 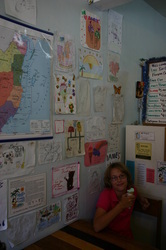 Dan and Eileen Jamison (D and E), have lived here in Belize for nearly 14 years now. 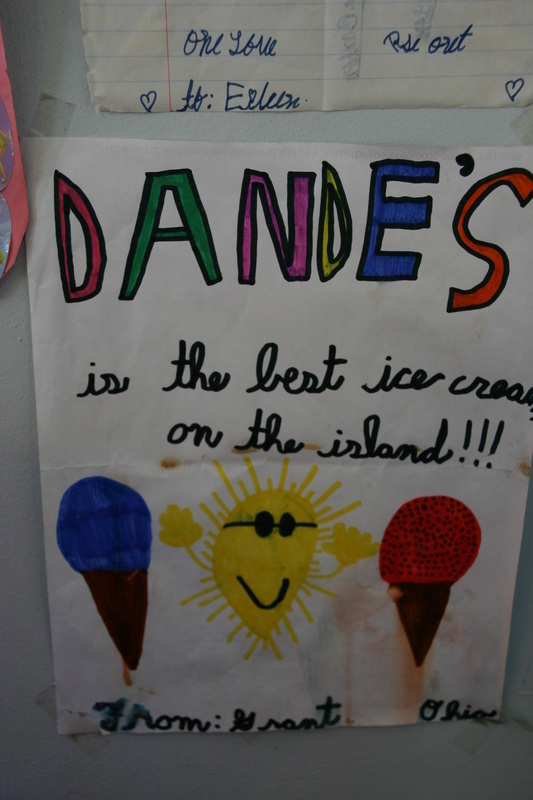 About 5-1/2 years ago, they started a new business called, "DandE's Frozen Yogurt", which is now the biggest hit on the island. We fell in love with Belize 14 years ago, and we still love it here, says Eileen. This will always be our home. 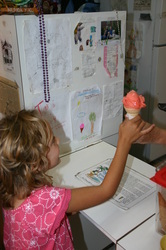 Dan & Eileen's special recipes make any flavor a real hit. Mom & Karen's favorites are "Rum Raisin", Christina's favorite is Mint Chocolate Chip and Lauren is indulging in "Strawberry" at the moment. 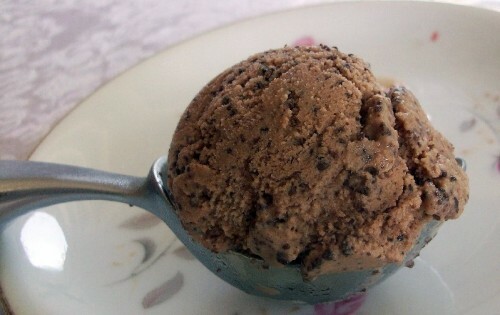 Eileen says that the most popular flavor that she sells (by far) is chocolate. 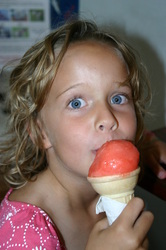 Although the most popular flavor with many of the tourists is coconut, and the most popular flavor with many of the locals is sour sap. 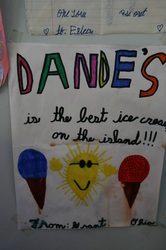 What sets DandE’s frozen desserts apart from all the rest? 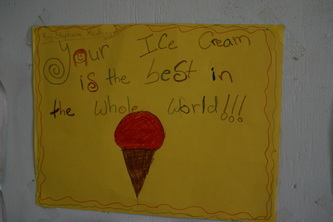 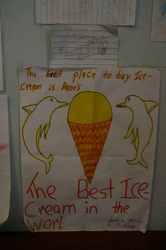 Their yogurt is “Frozen custard " which has been churned as it freezes, like old-fashioned, hand-cranked ice cream. 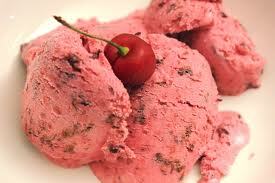 The result is a creamy texture similar to soft butter. You can find DandE’s Frozen Custard and Sorbet on Pescador Drive (or Middle Street) in downtown San Pedro, next to Caramba Restaurant. 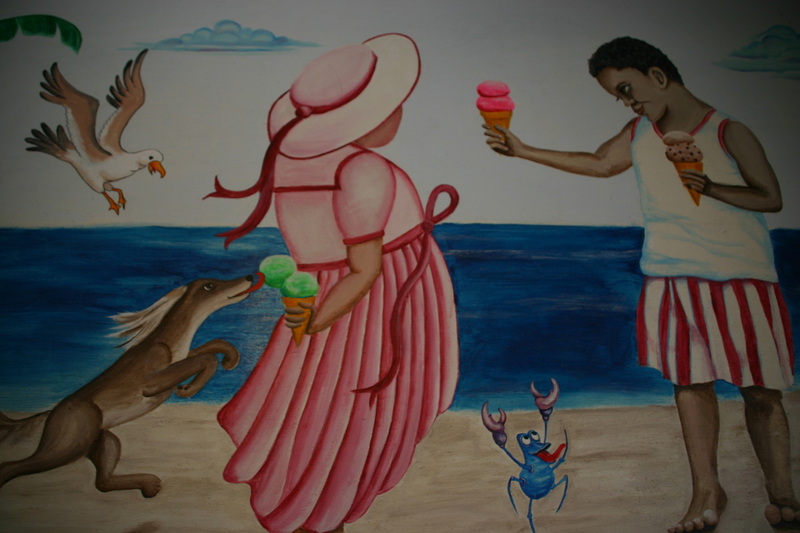 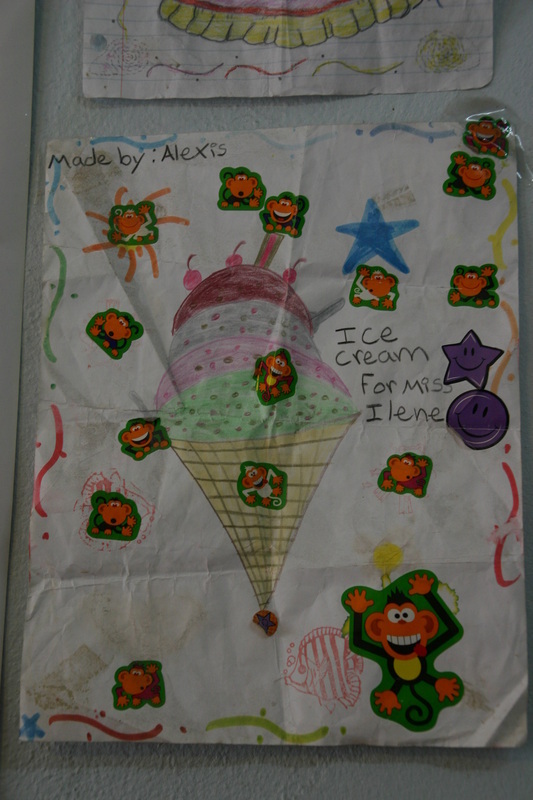 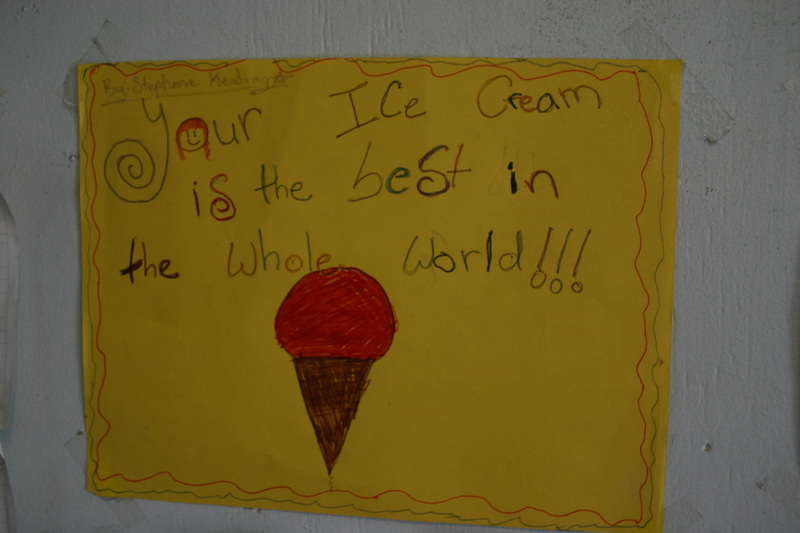 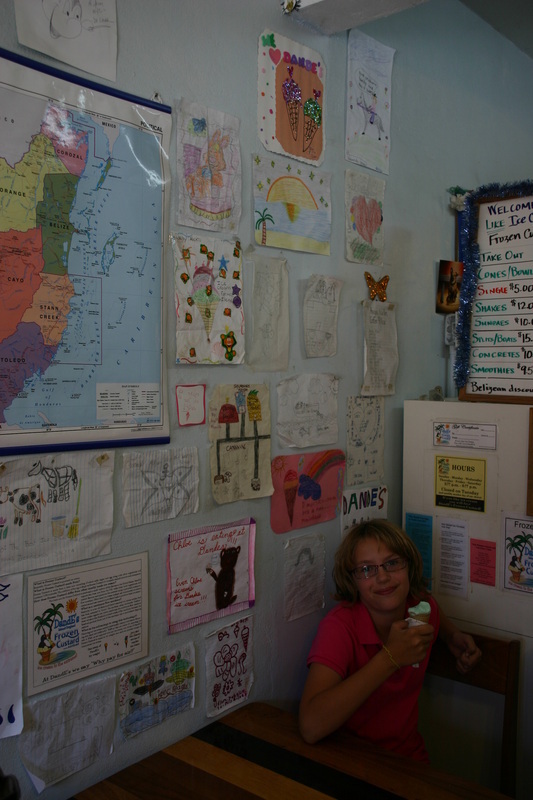 We felt at home in the shop, and loved how Eileen has decorated all the walls with the many pictures, that local children have drawn for her over the years, describing her delicious yogurt. 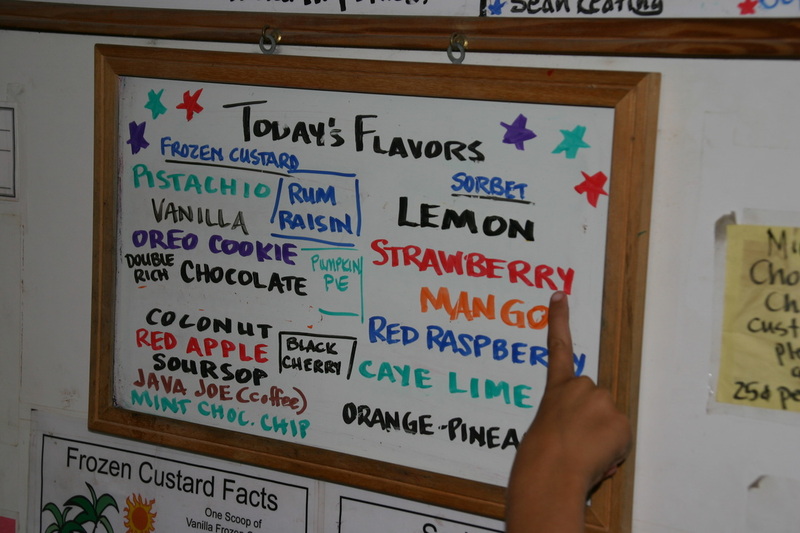 Stop in today and see which flavor is of interest to you. 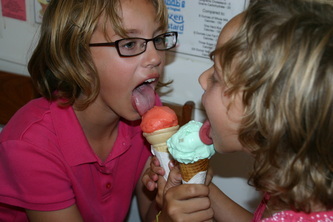 The DandE’s selection of sorbets continues to expand. 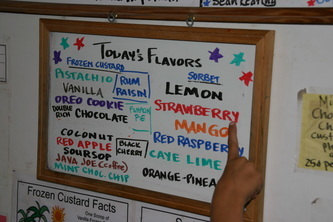 Flavors include: strawberry, mango, raspberry, watermelon and pineapple, to name but a few. 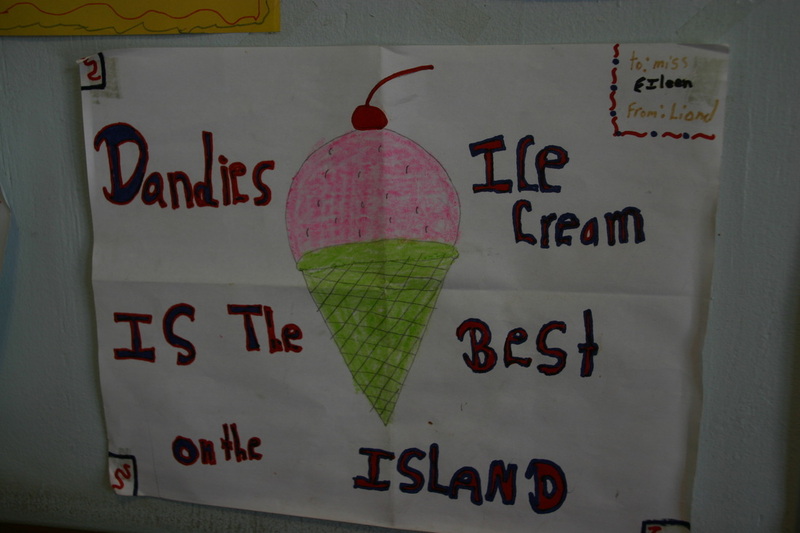 DandE’s also serves thick, delicious shakes and mouth watering sundaes and banana boats – tasty treats - definitely not to be missed while on Ambergris Caye. 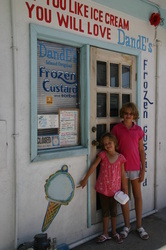 If you love ice cream, then you'll LOVE DandE’s Frozen Custard & Sorbet. 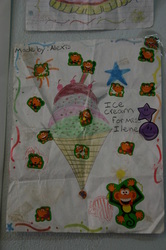 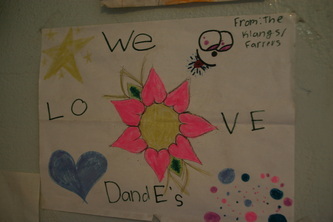 We Love DandE's Frozen Yogurt! 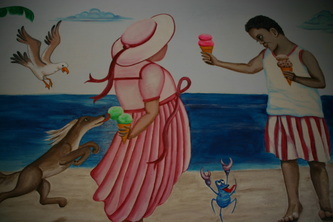 Nothing gets any better than frozen yogurt in the Caribbean?